This past June I saw Gary Clark Jr. perform on the final morning of Bonnaroo, and even on the main stage, it was a tough time slot. Between the threat of rain, muddy ground and general exhaustion that comes with three days spent being constantly surrounded by music, crowds and heat, it would have been completely understandable if Clark’s audience was less than enthusiastic. Instead, by the time the final note from his single “Bright Lights” faded into the damp Tennessee air, Clark had whipped the sizeable crowd that had trickled over to the stage into a frenzy. The Phish-heads staking out their territory eight hours early, the hungover frat brothers attracted by the echoes of smoldering arpeggios across the festival grounds, the smattering of middle-aged blues aficionados silently nodding their heads in appreciation: It seemed as if every person in the audience recognized the talent with which the ascendant Clark manned his guitar. Since releasing his Bright Lights EP almost two years ago, Clark has mesmerized both audiences and the music media alike with similar livewire festival sets, building a name and reputation for himself centered around a seemingly ceaseless touring schedule and modest play on alt-rock radio stations. Listeners have compared him to Hendrix, Stevie Ray Vaughan and Eric Clapton, and rather than bow under the weight of being mentioned in the same breath as those titans, Clark has inserted himself into the conversation about the most exciting guitarists working today. It was with this recent history in mind that I approached Blak & Blu, Clark’s full-length debut. Instead of an endless stream of soaring solos, he opts for a more nuanced approach, one that points to his desire to create a fully realized album rather than just a highlight reel of his fingerpicking skills. Clark’s refusal to be pigeonholed as merely a great axman results in a diverse, sometimes confounding record that exhibits a still-evolving oeuvre while still showcasing the chops that got him to this point in his career. With his ever-present fedora, stylish hirsuteness and slow stalk around the stage, as well as the unvarnished allure of Bright Lights, what surprises most on Blak & Blu is a tendency towards overproduction. Opener “Ain’t Messin Around” features a robust brass section and power chords reminiscent of U2 in the chorus, and when Clark finally breaks through the saccharine layers of instrumentation his solo sounds overly structured and constrained. “Things Are Changin’” features Clark as lothario with 1970s pedal work, but it comes off as a bit too silky and uninspired. 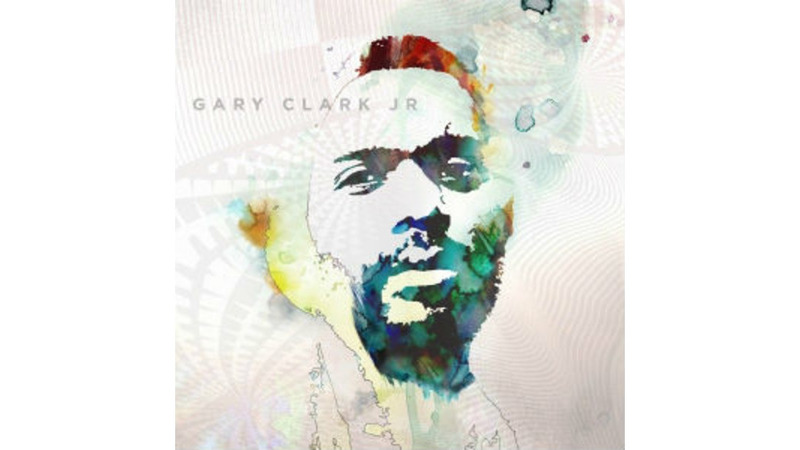 “The Life” is a stumbling foray into softly sung hip-hop, with looped drums and synths and the always ominous opening couplet of “Well I wake up at 10 in the morning / Feeling crazy, feeling horny.” It’s brave that Clark seeks to work outside of the bluesman paradigm that many of his fans revere him for (And it’s definitely a conscious effort: Blak and Blu’s press release describes producer Mike Elizondo as having credits that are “fittingly eclectic”), but in these cases he stretches himself a bit too far. Unsurprisingly, Clark is at his best when letting loose with his guitar, which he plays with a muscularity that is nonetheless elastic in terms of adapting different approaches and styles that differ from song to song. “When My Train Pulls In” begins with brooding “War Pigs” riff, and after Clark’s mahogany voice spins the tale of a musical vagabond he launches into a squalling tangent that harkens back to Hendrix in his Band of Gypsys phase. Hendrix is again referenced, this time in a direct quote, on the double cover of “Third Stone From the Sun / If You Love Me Like You Say.” Clark gives a fuzzed-out update to Jimi’s jazz fusion experiment, and skips through Albert Collins’ playful soul classic before bringing it all home with another searing solo. There’s even a Tom Morello-style scratching session involved for all those listeners who’ve always wanted a side of Rage Against the Machine to go with their Americana. Clark’s range doesn’t just apply to his instrument, and he adopts an impressive falsetto for the Motown-influenced “Please Come Home,” which sounds like it should be featured in a bar scene in a Scorsese flick. He even goes for the full back-porch, Mississippi Delta treatment on the brief yet riveting “Next Door Neighbor Blues,” which features a Cadillac, a loaded gun and enough slide guitar to make up for the beat-making and electronic-sounding miscues found elsewhere in the album. “Bright Lights” has also lost none of its luster since the appearance on its titular EP and remains a centerpiece on this record. Between conjuring images of getting wasted on the Bowery and the buzz saw of a guitar drone, the song is the distillation of what makes Clark such a figure to watch: Dark, direct and explosive, tight enough to appreciate the musicianship but with enough grit to send you blinking back out into the sunlight, dizzy but wanting to dive back in for another round as soon as your ears can take it.